Stressed? Your Oral Health May be at Risk. We all get stressed. It’s a part of life. And while we’re all familiar with what stress does to our bodies –anxiety disorders, panic attacks, irritability – our mouths can also be affected by stress. 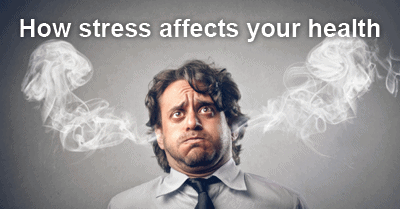 In fact, researchers have found a significant link between stress and certain oral health conditions. At the Douglasville dental office of Dr. Jim Williams, we’d like to talk a little bit about why staying calm isn’t just important for your mind and body, but why it’s also crucial to the health of your mouth. Stress can cause us to grind our teeth at night, and sometimes, we don’t even realize we’re doing it. Nighttime tooth grinding, also known as bruxism, can lead to tooth damage and even problems with your TMJ (jaw) joint. Additionally, several studies have confirmed that long-term stress affects our immune systems which can increase our susceptibility to infections. This is especially concerning for your Douglasville dentist as a lowered immune system can increase your chance of periodontal disease. Dry mouth also often results from conditions caused by stress or can be a side effect of some medicines used to treat depression and other diseases. Dry mouth may sound like it’s just uncomfortable, but it can actually lead to a chronic sore throat, difficulty swallowing and speaking, and can even increase the risk for gum disease, tooth decay, and mouth infections. Although avoiding all stress isn’t possible, learning to handle it and relieve it in healthy ways can help keep your mouth, and your body, in good shape. However, if you have, or even think you have, any of the conditions or symptoms we discussed above, don’t hesitate to call the dental office of Dr. Jim Williams in Douglasville. We can discuss what’s going on in your mouth and work together to fix it. For a lot of us, the new year means making resolutions to look better, get healthier, be happier, or improve life as a whole. Whatever specifics your resolutions may include, don’t overlook the chance to enhance your smile with cosmetic dentistry from Dr. Jim Williams in Douglasville. There’s a lot to say about a healthy, beautiful smile. Some people are lucky to have been born with one. Others have to battle against genetics, accidents, or aging. When time, or life itself, takes a toll on your teeth, your confidence can dwindle and it’s common to begin hiding your smile. However, you don’t need to hide forever. Dr. Jim Williams can help. 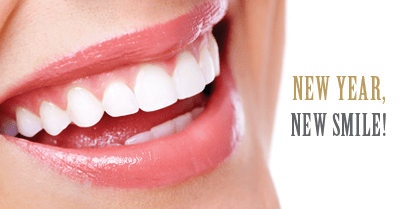 Our Douglasville cosmetic dentistry options can get you smiling again, help boost your confidence, and fulfill your New Year’s resolution to look better, feel better, and be happier. Whether you need a professional whitening to brighten your smile, veneers to enhance the aesthetics of your teeth, or a complete smile makeover, we’re here to make it all possible. There’s never been a better time to get healthy and confident for life. If you’re ready to stop hiding and start smiling, give us a call to schedule an appointment today. We’ll work with you to find the best cosmetic dentistry treatment for you. This is the year, ring in the New Year with a new smile from Dr. Jim Williams.